The mid-term election turnout numbers in Texas have left many breathless. It’s being described as a new high water mark for the state which has a record of lack-luster voter participation. But this week Texas could be looking at a turnout of over 50 percent of registered voters. But that also means about half of the people who could vote didn’t. TPR’s David Martin Davies takes a look at maybe why that is. In the 1990’s MTV worked really hard to make voting cool. They drafted their trend setting video stars like Ozzy Osbourne. To deliver that Rock the Vote message. It does seem strange that any ad campaign would be needed to persuade people to vote. It’s in each individual’s best interest to help elect someone who will work on your behalf. But San Antonio College student Michael Walker doesn’t see it that way. 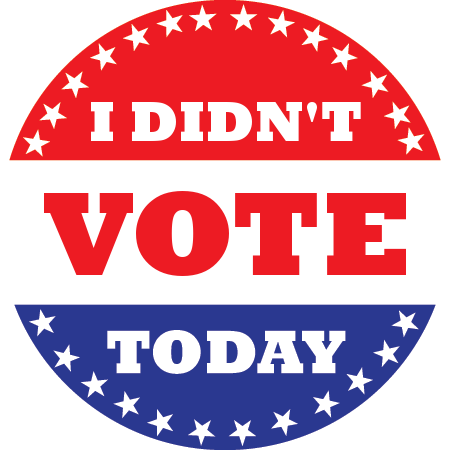 There’s a lot of public shaming that goes on, tisk-tisking non-voters. The shoot-from-the-hip assumption is these people just don’t care about what’s going on in the country, because if they did, then they would vote. But consider that non-voters are making a rational decision based on what works for them. We’ve all heard the comparison that politics is like making sausage. It’s makes perfect sense that many don’t want anything to do with sausage - making or otherwise. But rather than running down the people who choose not to vote – we might be better off trying to understand their rationale for deciding to have nothing to do with voting. Caleb Williams was also at San Antonio college but he was there as a campaign volunteer for Beto O'Rourke. He’s had more than his share of dialogs with loud and proud non-voters. But he was fired up. As Williams spoke, he’d bang on his clip board with his pen for emphases. Williams was emotionally invested in helping O’Rourke win the Senate race. And I can guess that he, like many others, was broken hearted when that didn’t happen. It feels like a break-up – a break-up with Democracy. When the final election numbers came in and Republican Ted Cruz is the victor – Democracy was like - “it’s not you – it’s me” and “we can still be friends.” But not only were you dumped by Democracy - now you have to see Democracy walking off arm in arm with Cruz. You grieve – you wonder what went wrong – what if we’d done something different. It hurts. And who needs this pain. On Election Day I ran into Oscar Valenzuela at the bus stop at Travis Park. He said he used to vote by not anymore. Valenzuela said he voted for Barack Obama for president and he wrote him and Supreme Court Chief Justice John Roberts letters explaining a problem his family was having. But he received no response. All Valenzuela really wanted was to be acknowledged. There’s nothing more valuable that we can give someone than our time and attention. And while many of us want to make voting an intellectual transaction – and it is – but voting is also a major emotional investment. We keep telling people that their vote is so important and has all this value then ask why should anyone just give it away to some candidate who doesn’t respect them. Doesn’t even see them. When I met Marcel Estero he was with his family at a park bench at Woodlawn Lake. Estero made it clear he was a loud and proud nonvoter. He was convinced that the politicians are in it to enrich themselves and don’t care about the people. His view is that politics is a dirty business that contaminates anyone who comes in contact with it. But I suspect there’s more to Estero’s reasoning. Certainly not all politicians are self serving toads. Maybe if he sat down with the right candidate and talked he’d reconsider this view. Maybe if Texas made voting easier he’d give it a try and find that it’s not so bad. We hear all the time that every vote counts. But even those votes that don’t get cast – also count. The people who don’t vote – they count too. And they are counting on the mercies of the system that those in power will do what’s right for all the people – the voters and the nonvoters alike.